Chai Yo is open 7 nights a week for lunch and dinner. Suitable for small and large groups. Get in touch if you are arranging a celebration or a special occasion such as a birthday, hen or office party and we’ll make sure to make it extra special for you. 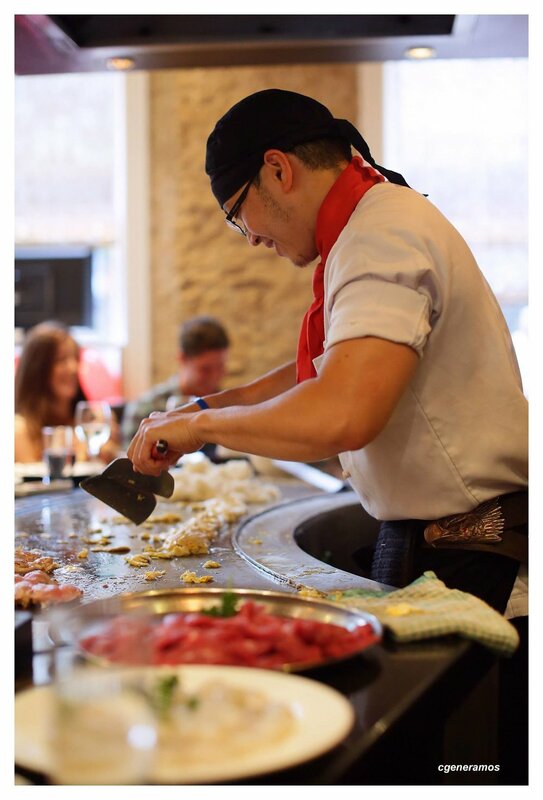 Not your typical restaurant experience, the teppanyaki table is hosted by an expert chef who puts on a show while serving up generous portions of great food. The teppanyaki tables are perfect for a date night or a large party and can seat up to 45 people. Chai Yo’s beautiful dining room can accommodate large dining parties of up to 70 people. We have a separate menu for the dining room which include dishes from Japanese, Thai, and Chinese cuisine.